Scholastic Kids Press Corps applications are now being accepted | Back to Basics Learning Dynamics, Inc. The application process for the 2018-2019 Scholastic News Kids Press Corps is now OPEN! Does your child dream of becoming a news reporter? Here’s a unique opportunity for kids 10 – 14 years old. 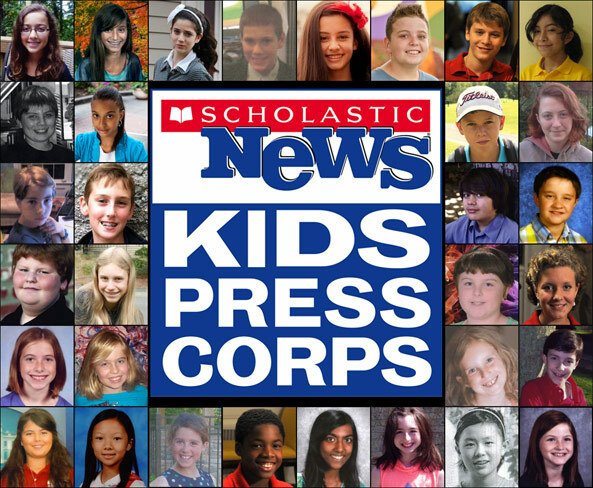 The Scholastic News Kids Press Corps is a group of talented young reporters, ages 10–14, from across the country. For almost 20 years, Scholastic News Kid Reporters have covered “news for kids, by kids.” Their stories appear online at the Scholastic News Kids Press Corps website and in select issues of Scholastic classroom magazines, which reach more than 25 million students in classrooms nationwide. The Kid Reporters have made news by interviewing journalists, politicians, entertainers, authors, and sports stars. The annual selection of Kid Reporters is based on writing ability, interviewing skills, and attention to detail. *Back to Basics Learning Dynamics is not in partnership with, or affiliated with, Scholastic Kids Press Corps, or the selection committees in any way. This post is simply intended to inform Back to Basics’ clients and readers about relevant opportunities for children, youth, and adults. Become a Kid Reporter for Scholastic News Kids Press Corps! Deadline is August 15, so apply today! College scholarship for Delaware students. April deadline!